Experience the diverse and distinctive cuisine of Savannah and learn about the city's history, architecture and culture on this 3-hour walking tour. Stop at seven specialty food stores and restaurants, and sample local favorites including shrimp and grits, Scotch pies and fried green tomatoes. 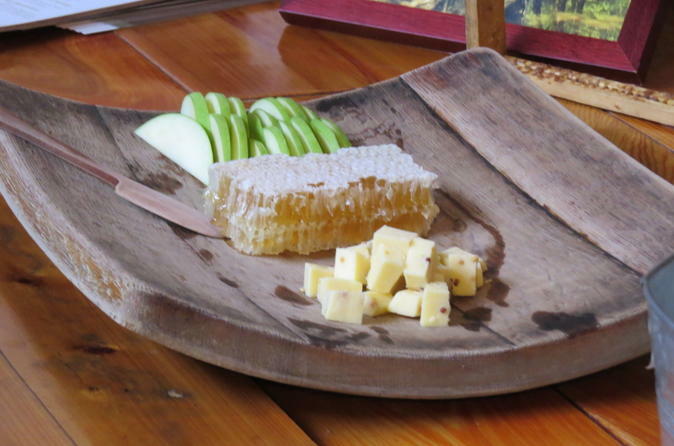 This tour is an ideal way for visitors and residents alike to learn more about Savannah while enjoying intriguing food samples that add up to an authentic southern lunch. This small-group tour is limited to 14 people for a more intimate experience. This 2 to 2.5 hour tour event covers the entire gambit from 1750s plantation to the Victorian cemetery 1830's era to modern day. Incredible natural scenery to the finest sculpture & iron work of the period, Bonaventure through Shannon Scott's lens is sure to mesmerize. 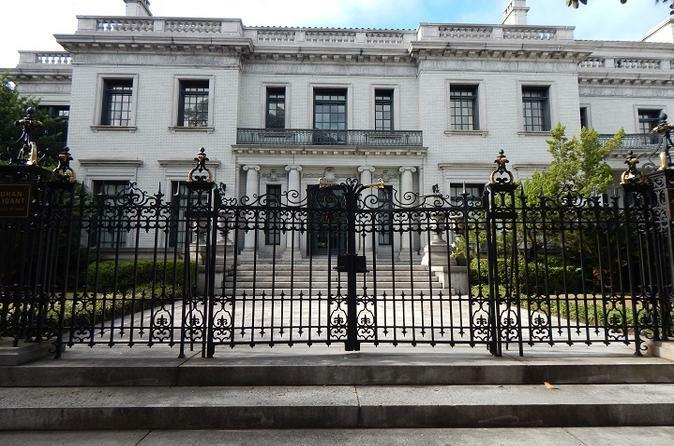 A great introduction to the rich history of Savannah, Georgia, the Savannah Saunter walking tour is a top choice of visitors to Savannah's Historic District. 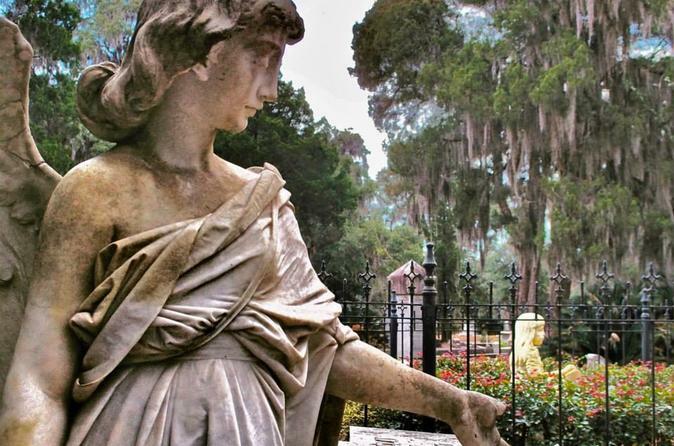 On this stroll beneath the moss-draped live oaks, Savannah's squares and streets come alive as professional tour guides recite original research and little-known stories of the past. 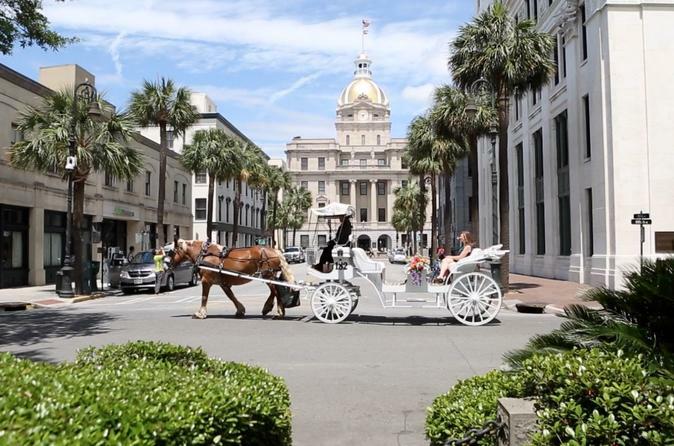 There is no better way to enjoy the southern charm of Savannah than aboard a beautiful horse drawn carriage. On this private tour, you will enjoy the high-life as your carriage meets you for a scenic ride through this beautiful historic landmark city. 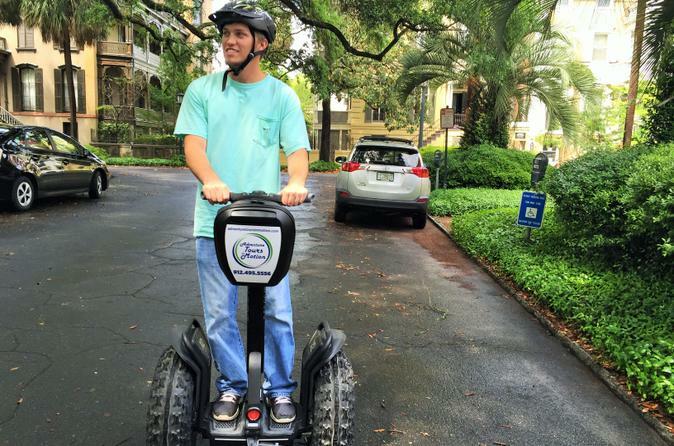 Segway your way through Savannah on this adventurous 60-minute tour. Small or private groups will travel through time as you marvel at Savannah's breath-taking architecture, beautiful historic homes, captivating monuments and fascinating fountains. Your knowledgeable tour guide will share Savannah’s tales from her humble beginnings as the country's 13th colony to one of the most interesting, fun and intriguing cities today. 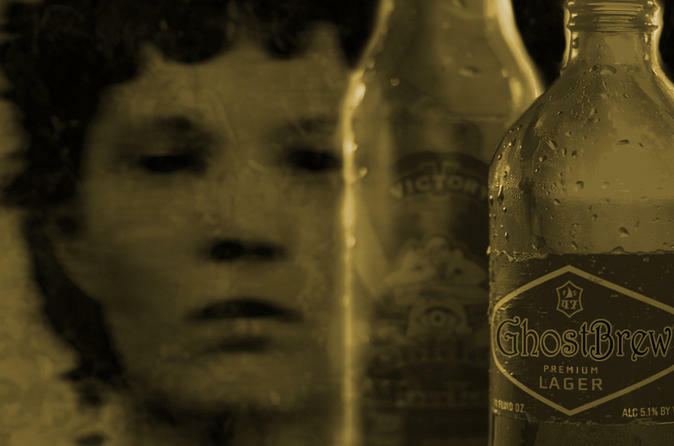 This tour takes you through Savannah’s most fascinating haunted pubs and bars! Hear the stories that cover 300 years of history, ghosts, pirates and many other fascinating facts that make Savannah the most haunted city in America. 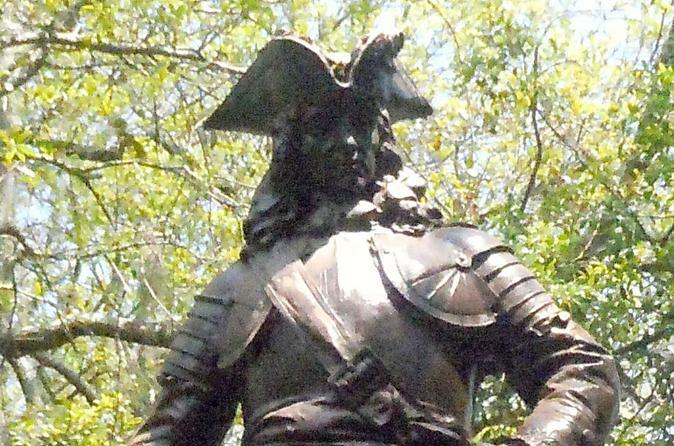 Learn about Savannah's rich and historic history on this 90-minute walking tour. Your local guide will bring you to notable landmarks, town squares and historic sites while providing captivating commentary about the city's early beginnings, colonial, revolutionary, antebellum, slavery, civil war and post civil war periods. 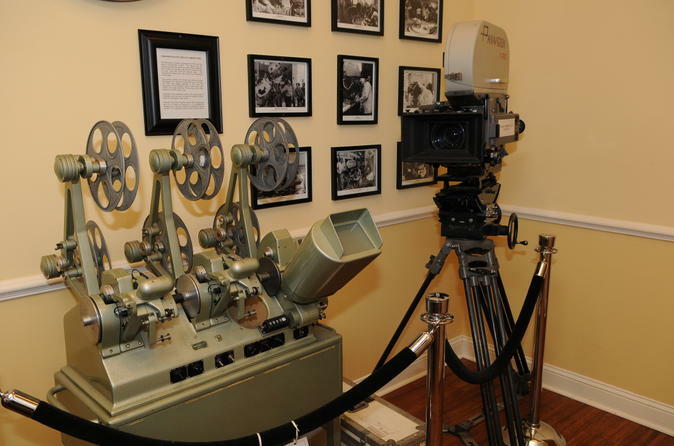 Follow the ‘lights, camera, action’ of big-name blockbusters around town on this exciting 1.5-hour movie location tour of Savannah! While traveling around the Historical District by bus, visit places made famous by the directors, divas and screen legends of the movie world. 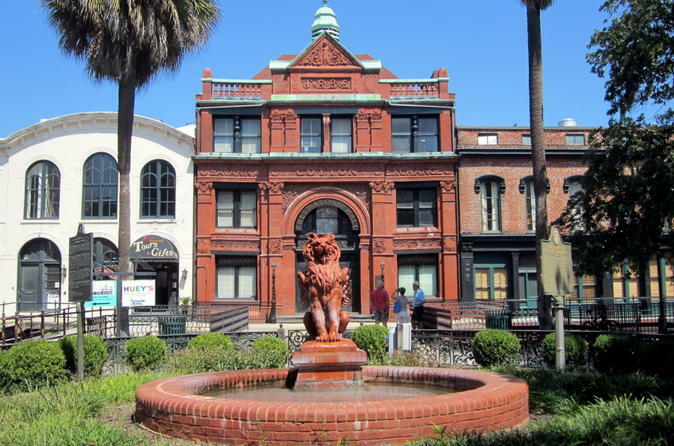 Top Savannah attractions such as Mercer-Williams House and Madison Square are included in the route, and insider gossip about 'Forrest Gump,' 'The General’s Daughter' and other movies make up the commentary. Choose from three different start times to suit your schedule. Looking for an unparalleled outing and the coolest way to indulge your Gothic poet side? 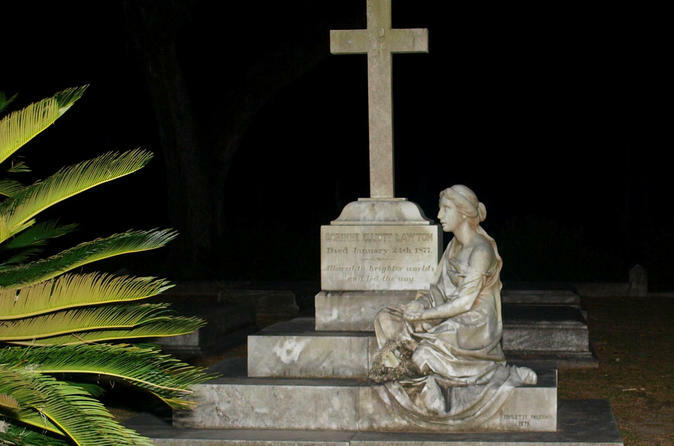 The old saying is, no visit to Savannah is complete without a visit to Bonaventure: come take a Bonaventure Cemetery After Hours tour and find out why! Turn Savannah into a giant game board with this fun scavenger hunt adventure! This challenge combines the excitement of the Amazing Race with a 3-hour city walking tour. Guided from any smart phone, teams make their way among well known and overlooked gems of the city, solving clues and completing challenges while learning local history.